Neem is a wide spectrum anti-microbial with anti-bacterial, anti-fungal, anti-protozoa and anti-malarial qualities. Treats and prevents many infectious diseases and fevers. Neem purifies the blood and removes toxins from the intestines which allows any aggravated skin conditions such as acne, rashes, eczema and psoriasis to subside. Uses of Neem also include the cooling of any burning or itching sensations. Neem’s anti-septic, anti-bacterial, anti-fungal, anti-protozoal and anti-malarial qualities make it a potent herb used to eliminate a wide range of infective diseases. It treats giardia, tape and ringworms & diarrhoea. Neem is an ideal herb to take regularly to prevent and treat any high fever such as the flu, dengue, malaria and other tropical diseases. If taken consistently, over a long period, the body develops an immunity to many infectious diseases. Neem’s anti-bacterial properties are useful in treating many conditions of excessive bacterial growth and protozoal infections. It has an affinity for the uterus and it’s cooling properties can reduce inflammatory disorders like candida and haemorrhoids. Emaciation diseases or any condition with signs of coldness. 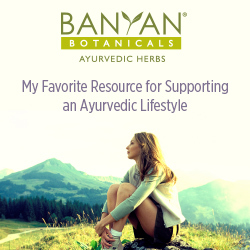 Click here to return to our ayurvedic herbs homepage.